BriTen Janitorial and Floor Care LLC is family owned and operated by Brian and Tennille Williams. We have been providing the CSRA with Commercial Cleaning and Floor Care for almost 20 years. 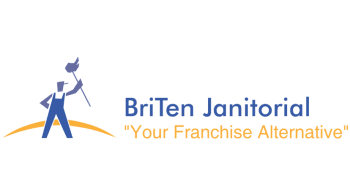 BriTen Janitorial & Floor Care LLC partners with our clients to ensure that they always deliver an outstanding first impression to their customers. We accomplish this through two unique key factors. 1. BriTen employees are paid well above the accepted industry standard per hour. Our employees are paid monthly performance bonuses as well as "large job" bonuses. Because of our family environment and pay structure we are able to demand and achieve the highest standards and our turn over is very low. 2. All BriTen employees are held to unique accountabilities depending on the position held within the company. Whether it is the founders of the company or the newest member these accountabilities ensure no confusion on what is expected.